Pikeville Medical Center (PMC) continues to lead the way for advancements in heart care for this region. 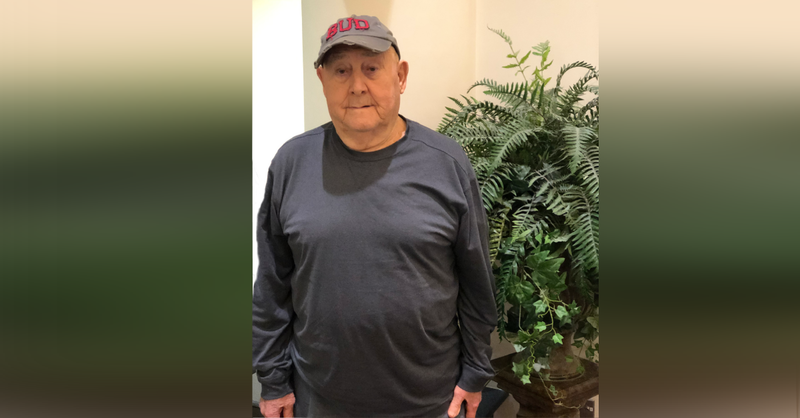 Bud Williams, of Belfry, Ky was the first patient to receive a transcatheter aortic valve replacement (TAVR) at PMC. PMC patients who qualify for a TAVR procedure undergo a minimally invasive surgical procedure that repairs a patient’s heart valve. Williams recently experienced PMC’s commitment to care as 14 highly trained physicians, nurses and cath lab technicians led his procedure. Williams says he has been a loyal patient of PMC for years. “Dr. Antimisiaris (Dr. A) has been taking care of me and monitoring my pacemaker for years,” said Williams. Williams became weaker and experienced more dizziness. He was diagnosed with aortic valve insufficiency, edema and heart failure. His condition began to get worse. “My condition began to get worse. I needed a valve replacement. Dr. A has really taken care of me and always had my best interest in mind. At my age, he did not want me to undergo major heart surgery,” said Williams. Williams was refereed to PMC’s cardiology team to determine his options. Williams was informed he qualified for the TAVR procedure. His procedure was led by PMC Interventional Cardiologists Muhammad Ahmad, MD, and Deepak Pattenshetty, MD; Cardiothoracic Surgeons Dermot P. Halpin, MD, and John Deel, MD; Anesthesiologist Randy Legault, MD, and Cath Lab Manager, Johnny Webb. The TAVR procedure allowed Williams’ valve to be replaced. PMC’s team of physicians made a small incision in the leg allowing them to guide a catheter to the heart and replace the valve. Williams said he appreciates PMC for all they did to care for him during his time of need. “I am thankful for the care I received. I knew I was in great hands,” Williams added. He says the physicians, nurses and staff all made him feel comfortable and helped him understand his procedure. PMC continues to provide advancements raising the bar for heart health. PMC performs advanced procedures that allow patients to stay close to home and receive advanced quality care. For more information or to schedule an appointment call 606-218-2201 or visit the Heart & Vascular Institute pages on this site..